Want some real Greek olive oil produced in the Corinthia? 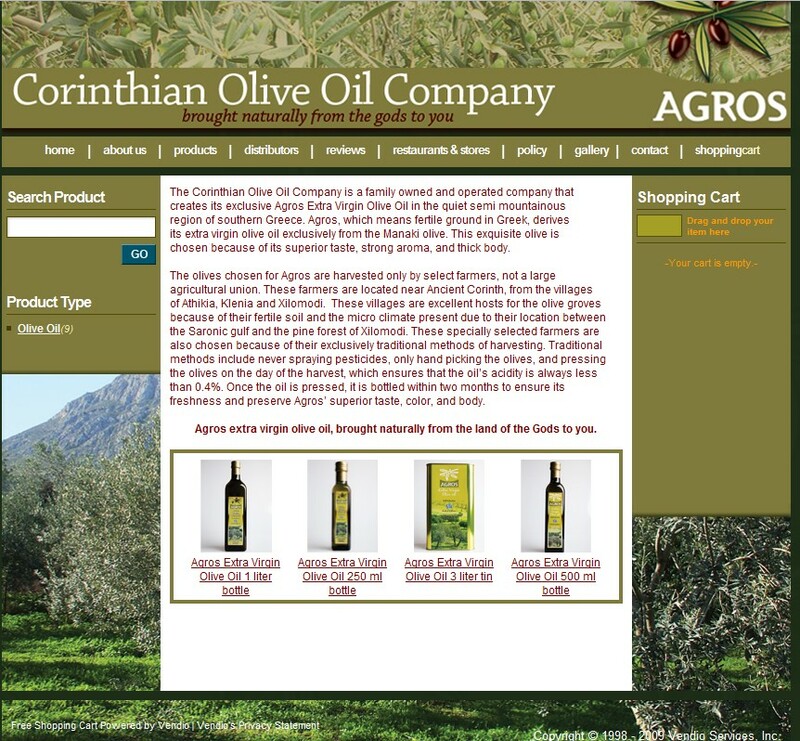 The Corinthian Olive Oil Company has launched a website for their Agros Extra Virgin Olive Oil. The oil is processed entirely from Corinthian olives and is simply excellent. to start his own brand of olive oil and to expand his reach to other people and places. stores, as well as to individual customers. Agros has become a success. Extra Virgin Olive Oil comes directly from the harvest to you.